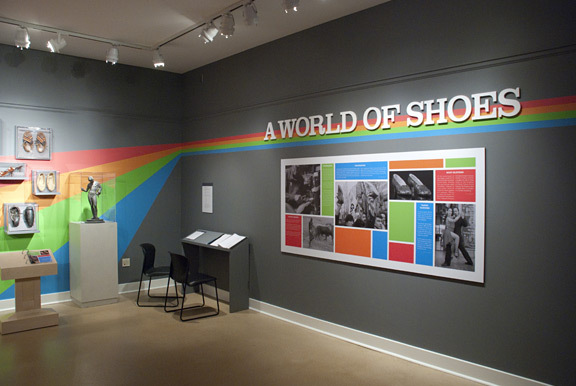 "A World of Shoes" was a temporary exhibit produced in-house for the Spurlock Museum, designed to showcase the history and meaning of shoes around the world and across time. 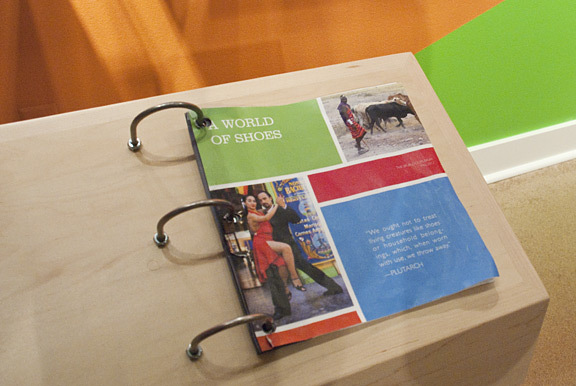 Like the Centennial exhibit before, I aided the design team by offering room ideation and color options, as well as typesetting, title wall graphic creation, and flipbook layout design. 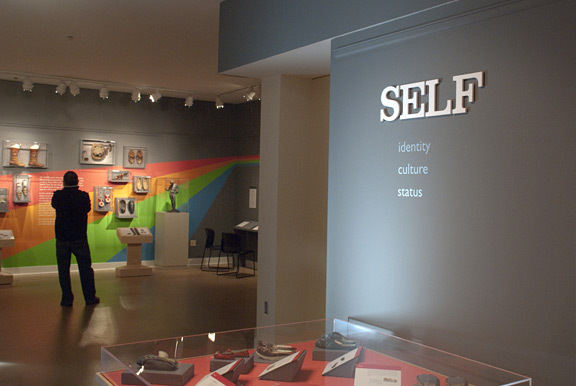 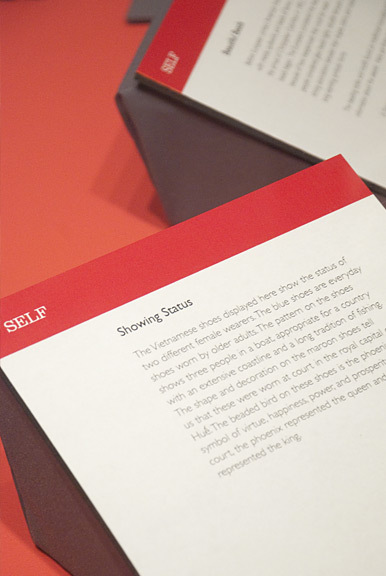 The challenge of this exhibit was tying together many different colors, styles, and themes, and leading the visitor visually through the exhibit.